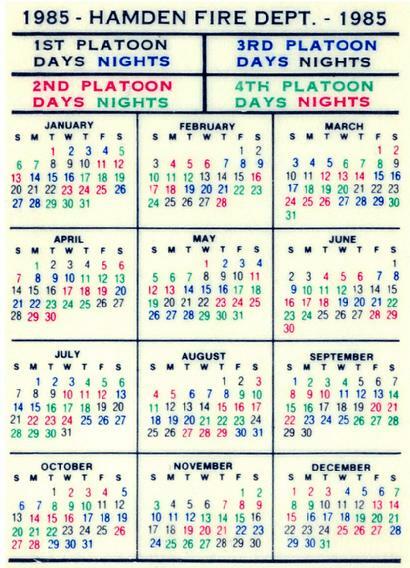 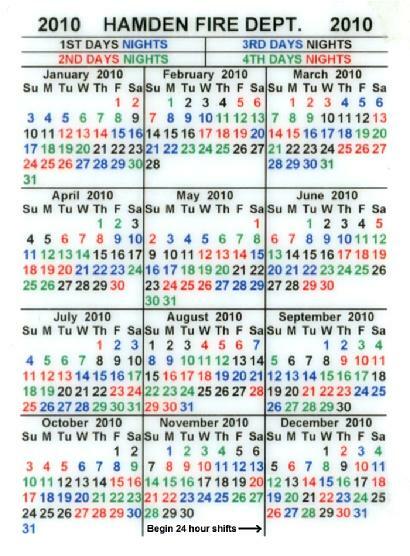 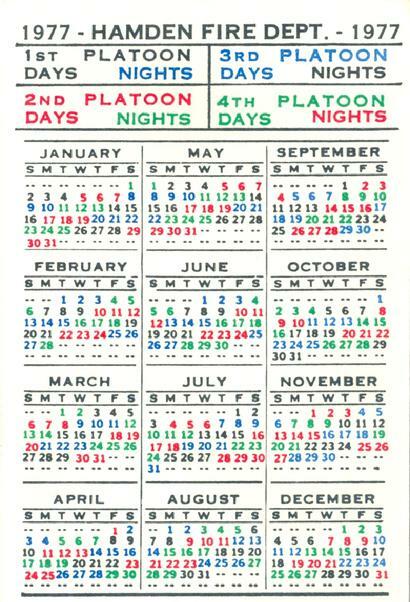 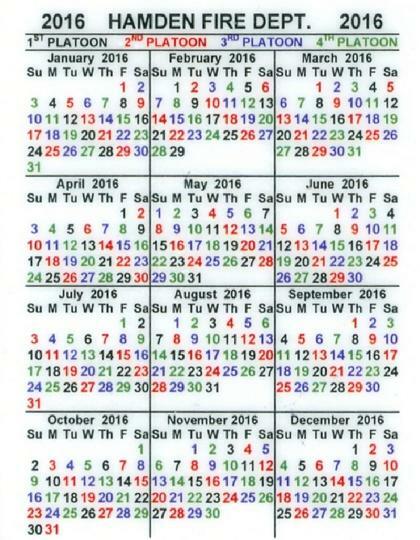 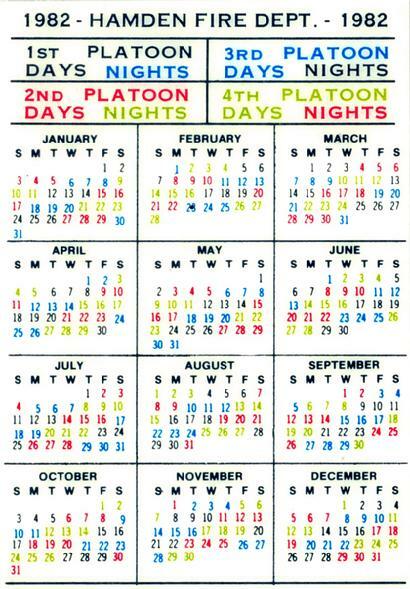 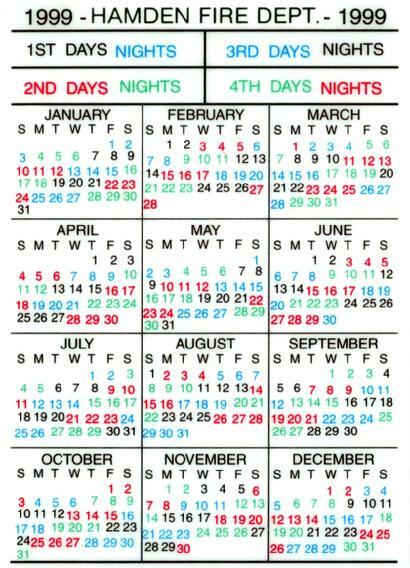 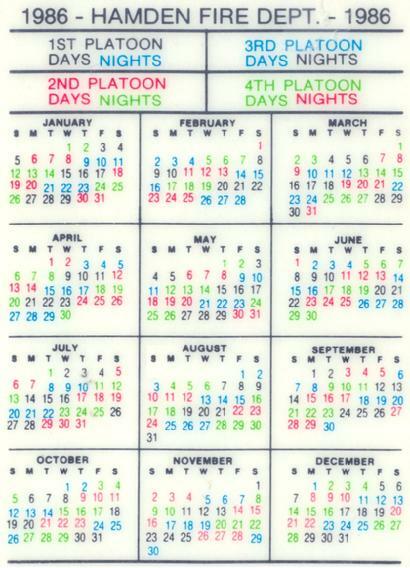 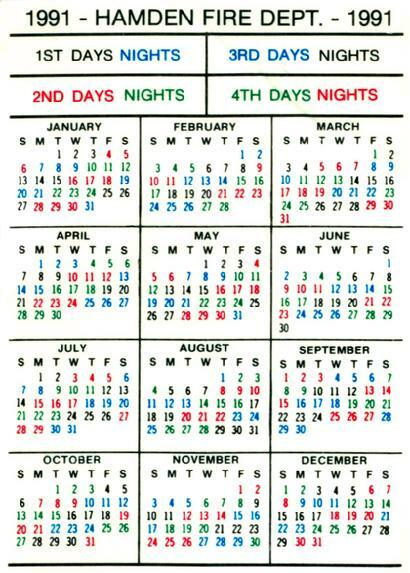 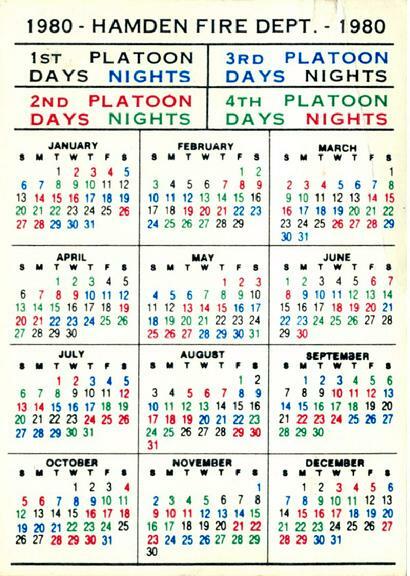 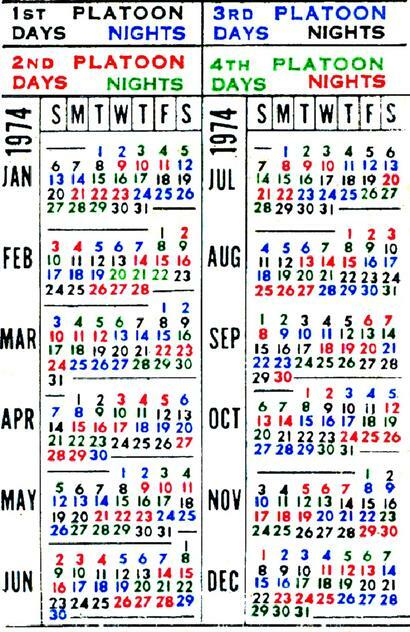 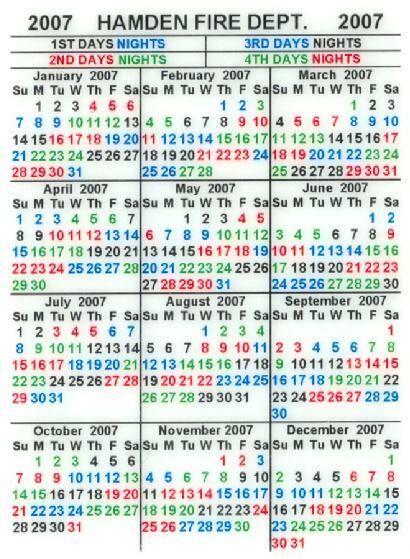 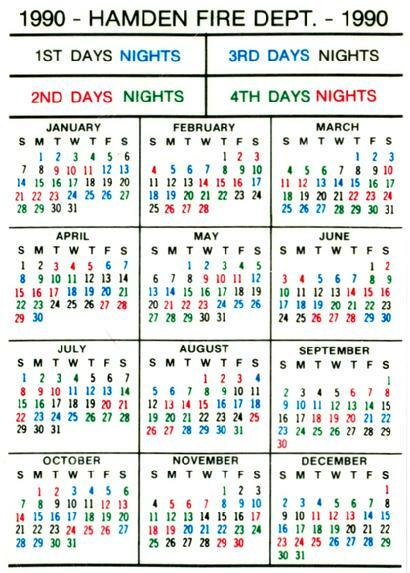 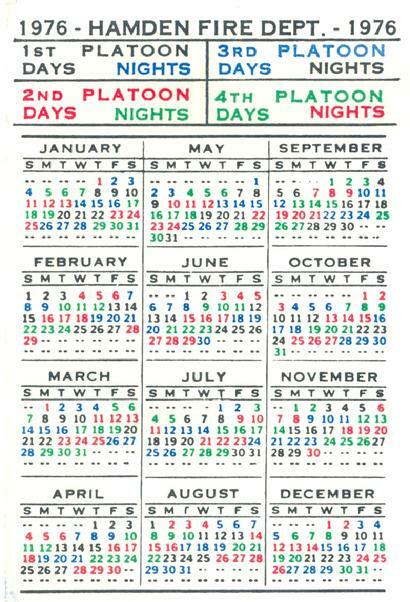 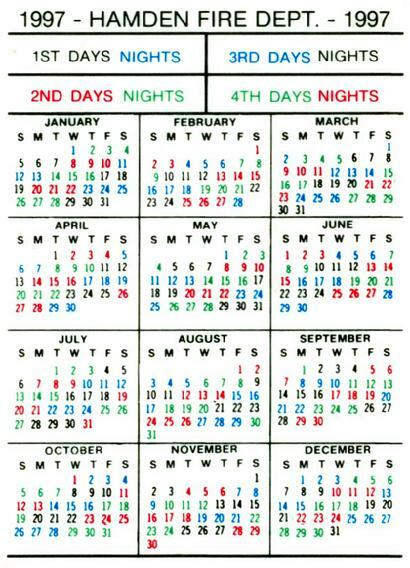 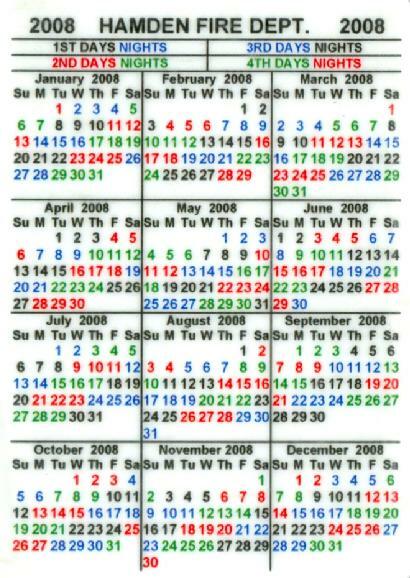 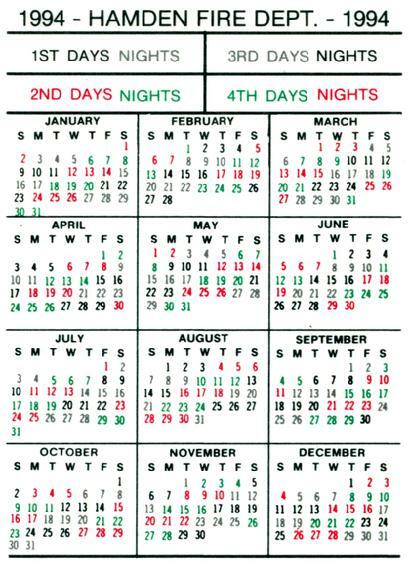 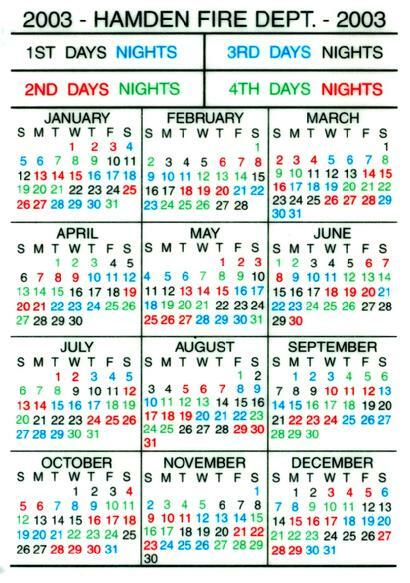 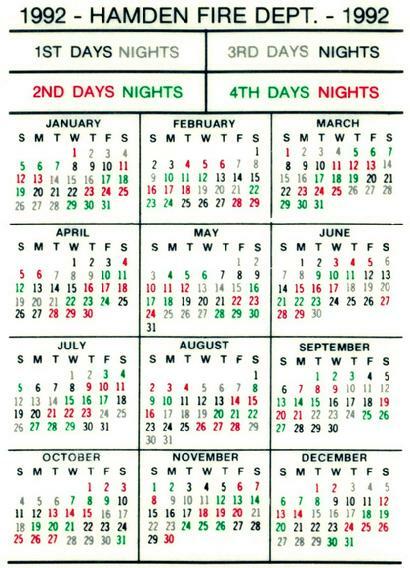 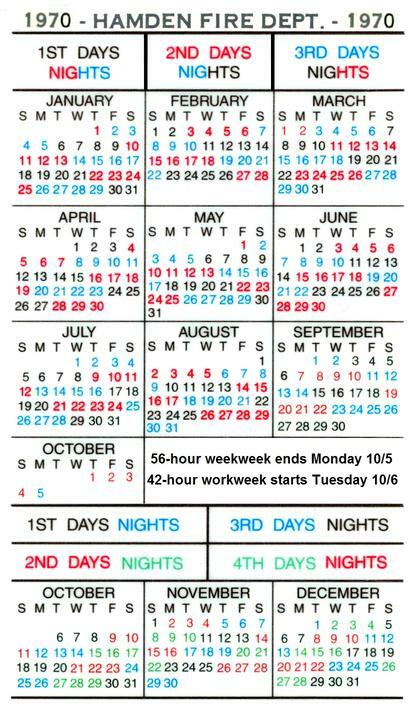 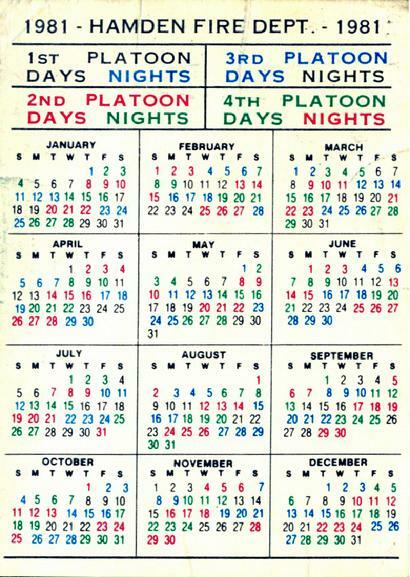 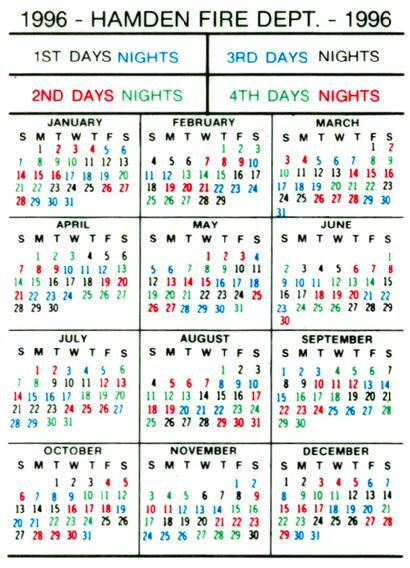 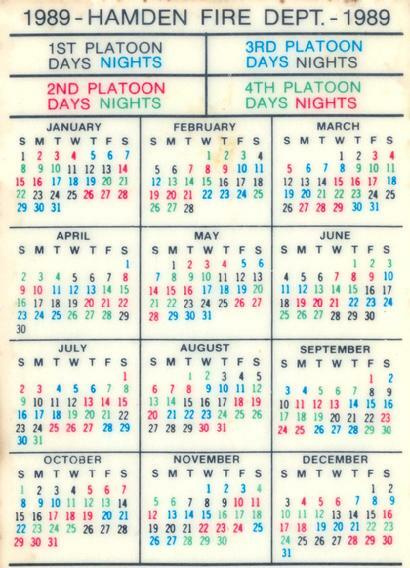 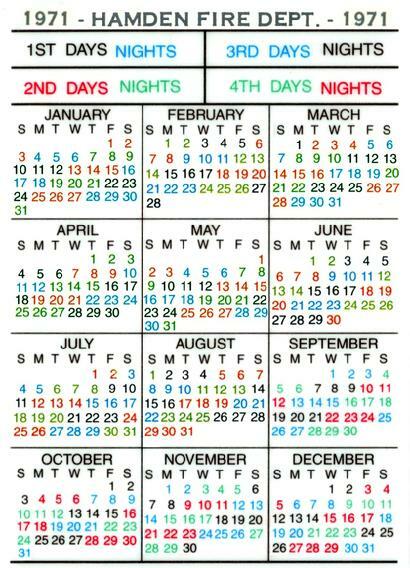 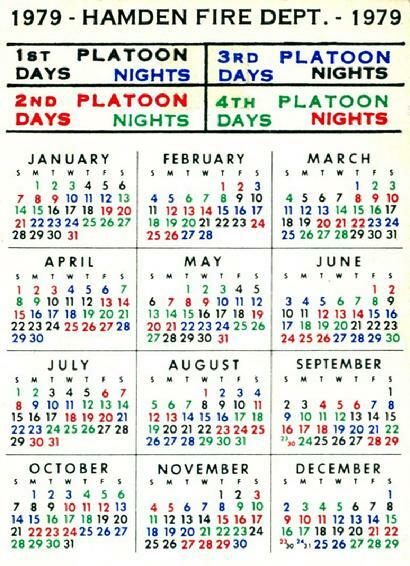 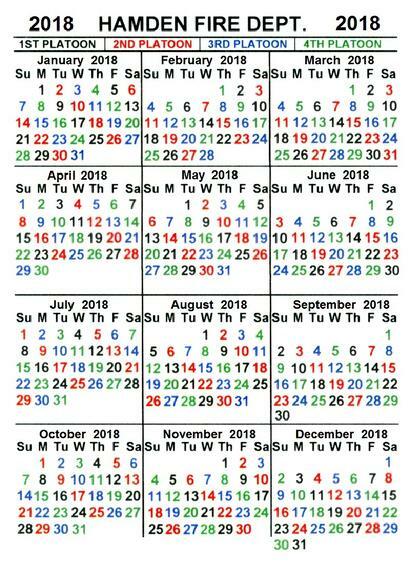 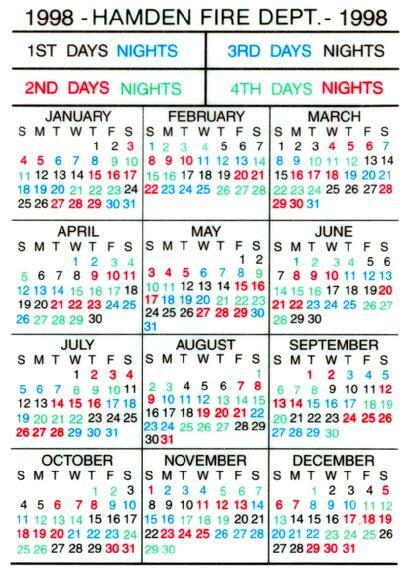 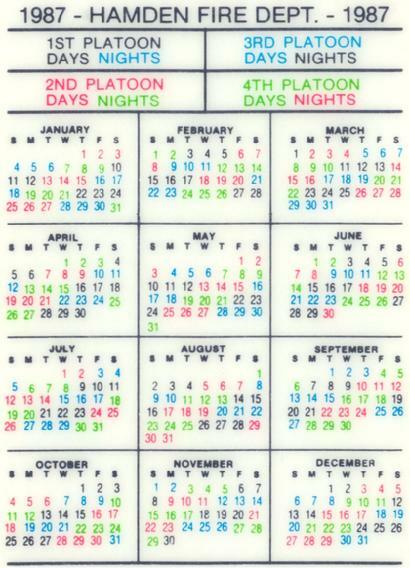 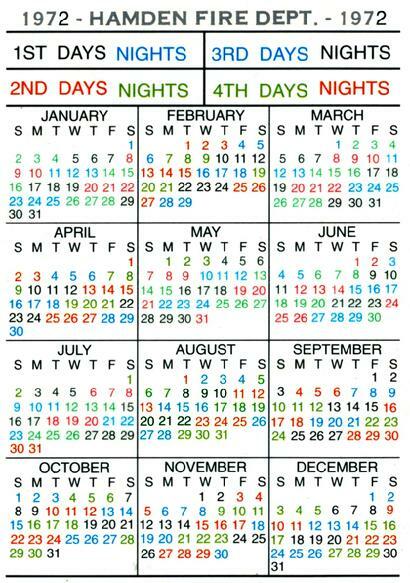 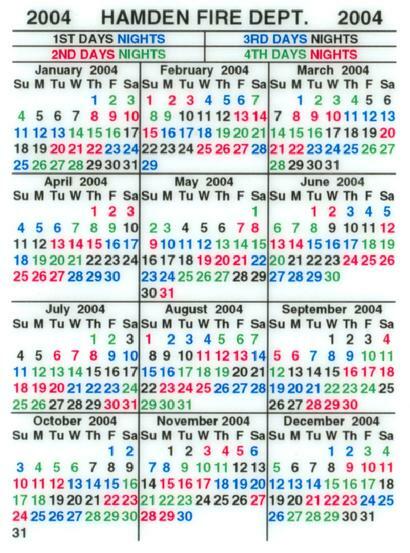 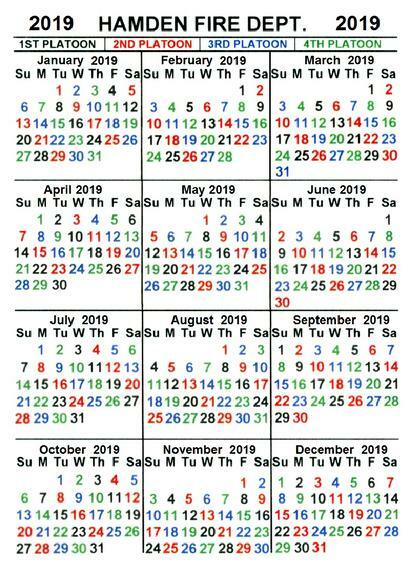 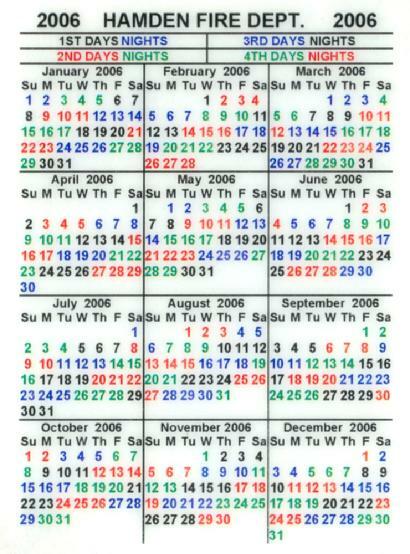 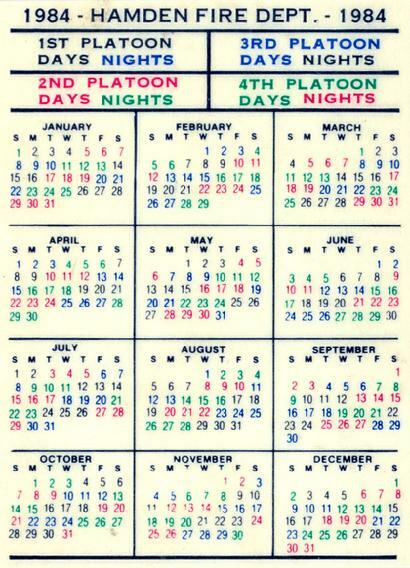 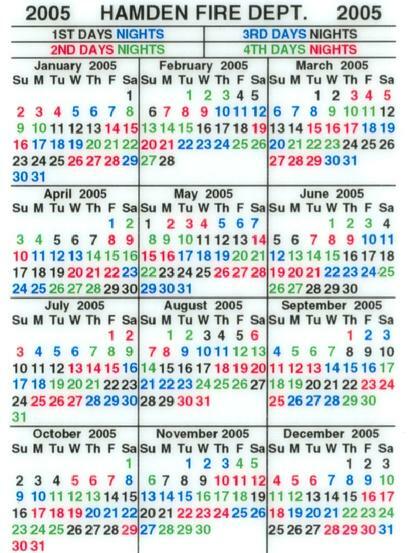 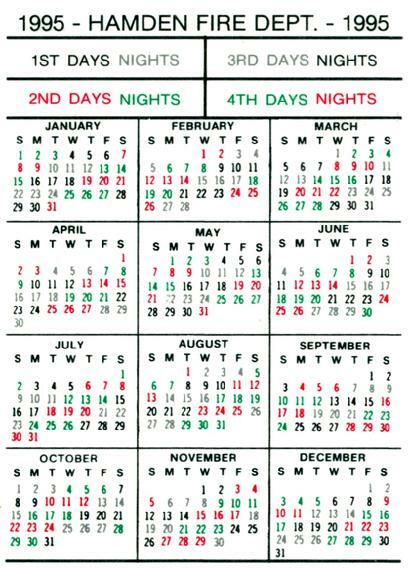 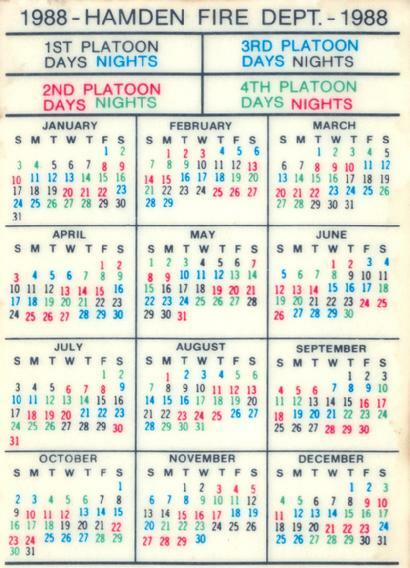 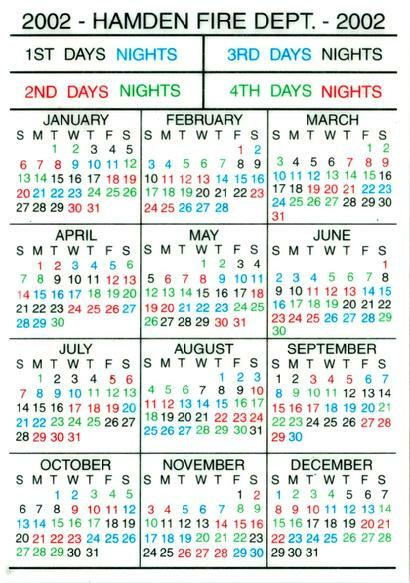 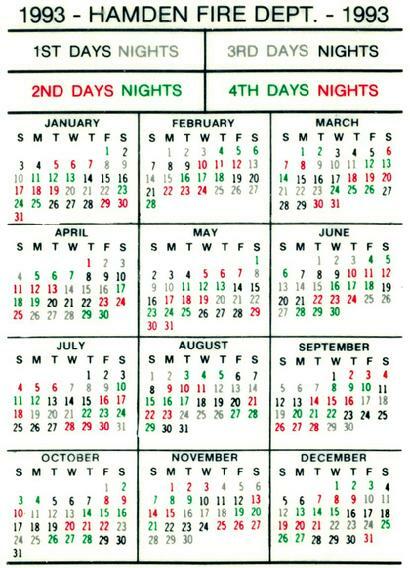 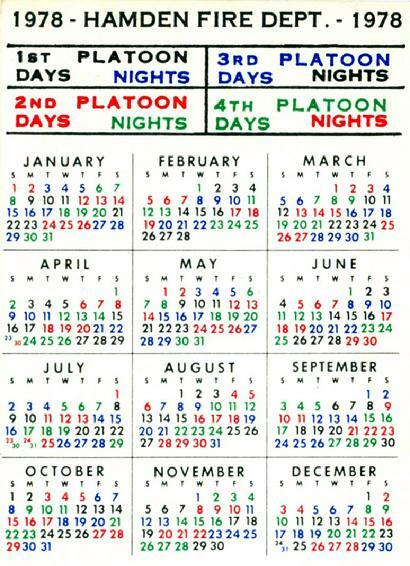 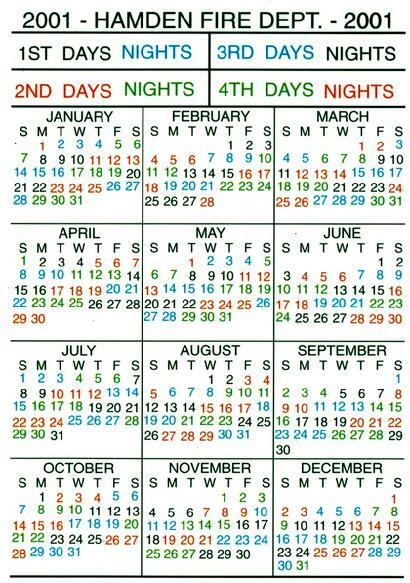 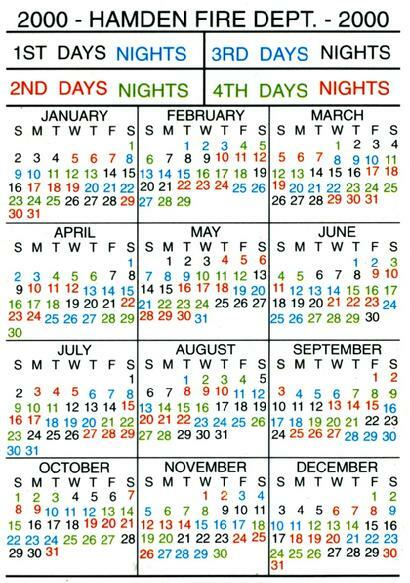 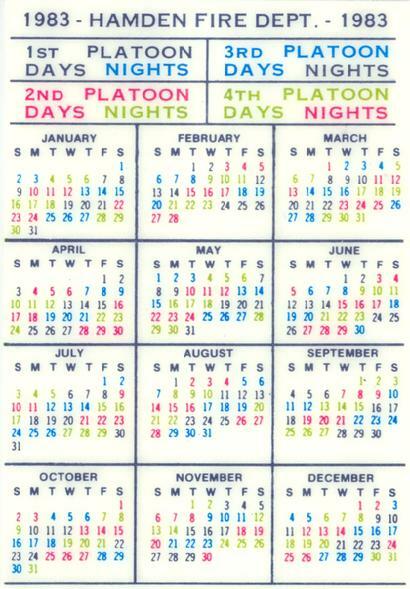 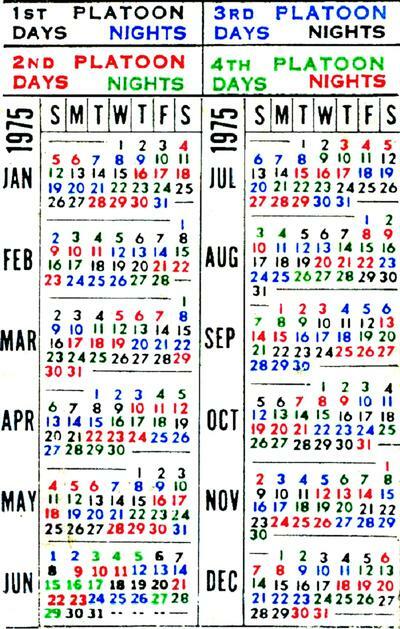 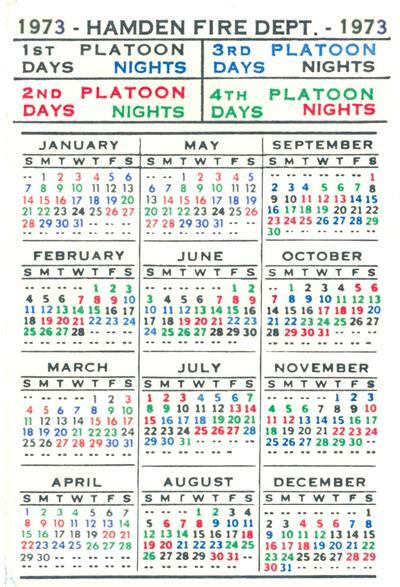 Shift calendars for 1992 through 1995 used the color grey instead of blue to denote the day and night shifts for Platoons 3 and 1, respectively. 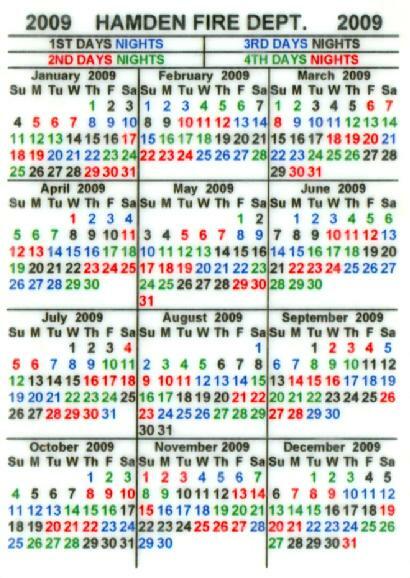 Blue returned with the 1996 calendars. 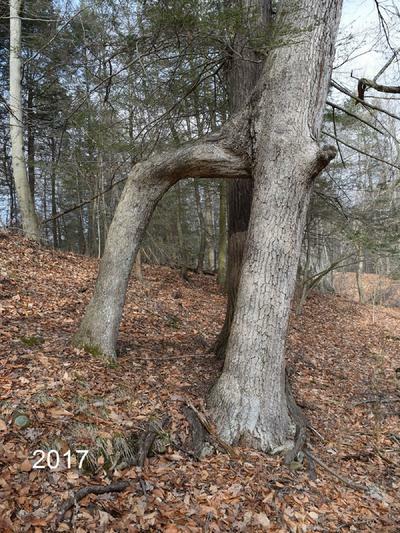 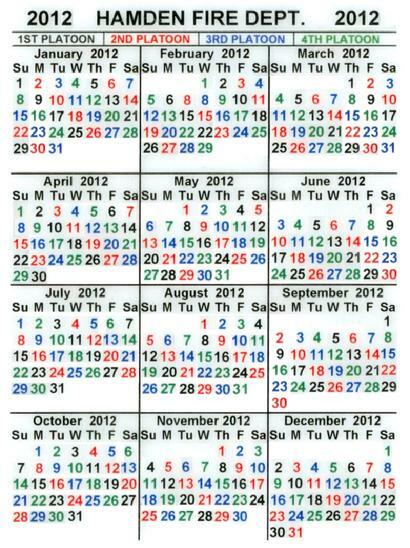 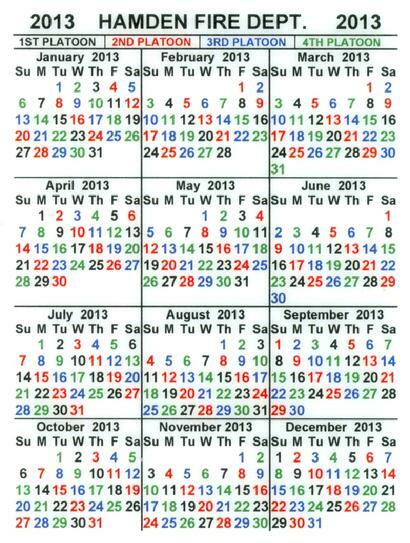 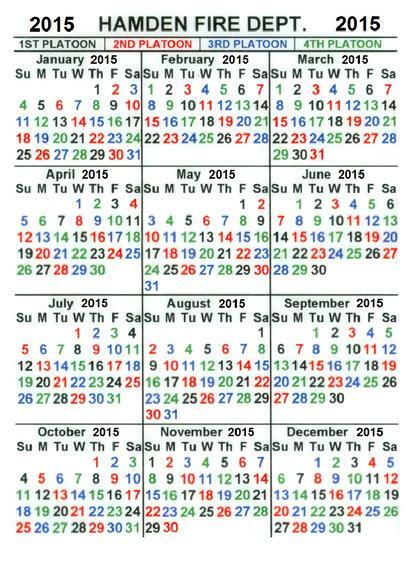 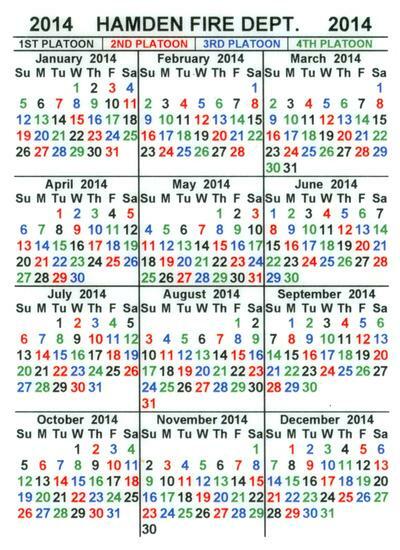 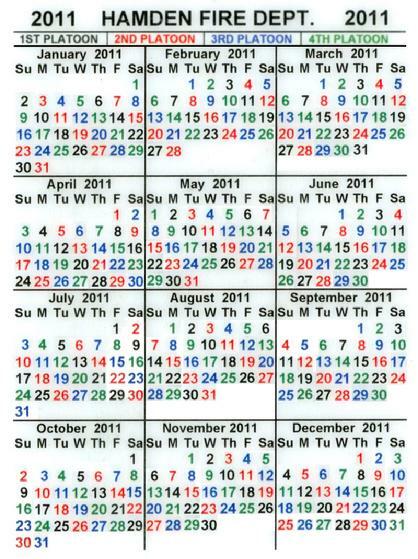 Any calendar can be enlarged by CLICKING on the image.